The Makita BL7010 7.2V Lithium-Ion Battery is a higly versatile battery. 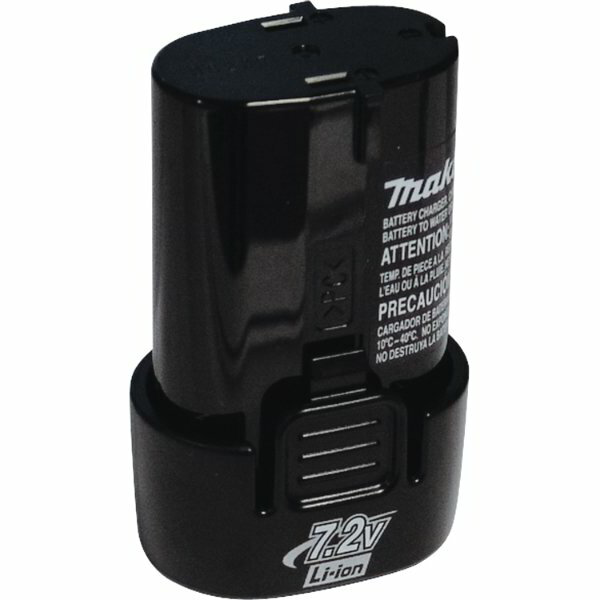 It is compatible with any Makita 7.2V Lithium-Ion tools that require 7.2V Lithium-Ion batteries. When using Makita's DC10WB Lithium-Ion Charger, charging will take around 60 minutes. When used with DC07SA, charge time will only take around 50 minutes. The Makita BL7010 7.2V Lithium-Ion Battery comes with a built-in memory chip that communicates the usage history with charger, a built-in shock absorbers that protect the cells from jobsite conditions, a large release button for easy removal from the tool, and buil-in air vents that cool the battery cells evenly while blocking damaging debris.